My grandfather and grandmother have always been an example for me to look up to of a strong marriage. They're loyally devoted to one another, they laugh together and they're still very much in love. 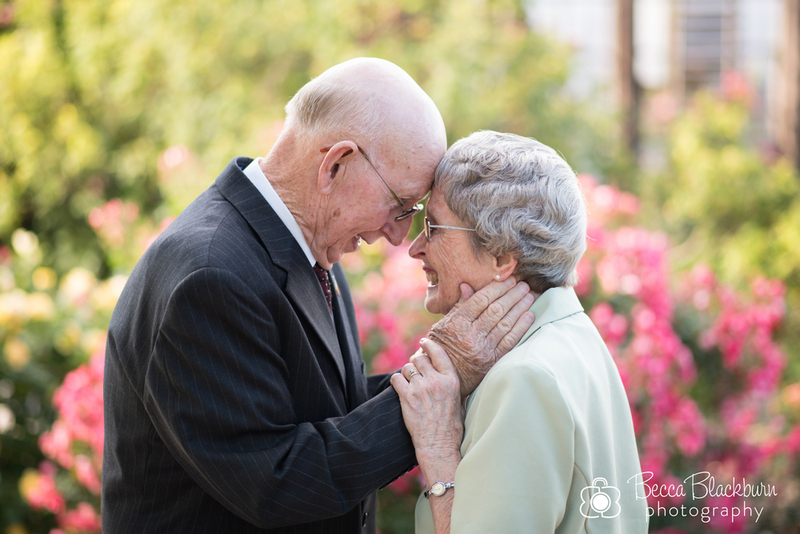 This summer they're celebrating 60 years of marriage, and I had the privilege of taking their anniversary photos. The evening was perfect, and so was watching them have so much fun together. I asked each of my cousins to share a little of what they admire or have learned from Grandfather and Grandmother's example of love and commitment to one another. Enjoy their comments along with a few of the photos from our beautiful evening together below. Happy 60th anniversary, Grandfather and Grandmother! We're thankful for your example of marriage and look forward to celebrating with you! Celebrating a special anniversary soon? I'd love to talk with you about taking photos to celebrate your special milestone! Please contact me for more information.